A four-part series exploring immigration detention and deportation in the Puget Sound region. From the dark days of the Chinese Exclusion Act to post–September 11 crackdowns on undocumented immigrants, immigration detention has a controversial history in both our nation and in the Puget Sound region. 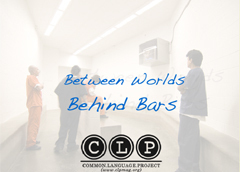 "Between Worlds / Behind Bars" is a four–part series exploring immigration detention from its roots in the 1930s at "Seattle's Ellis Island" in the International District to today's privately–run Northwest Detention Center on the Tacoma Tideflats.